On Veterans Day, November 11th, over 300 marchers and thousands of spectators concluded the 17th Annual Justice for Filipino Veterans (JFAV) March in Hollywood, CA. With previous mobilizations in Historic Filipinotown 2001-2008 and Downtown Los Angeles 2009-2011, this march is the sixth time in its history to reach a wider audience in the entertainment capital of the world. Per context, 260,000 Filipino soldiers answered President Franklin D. Roosevelt’s executive order to fight against fascism in World War II in exchange for full military benefits. Thereafter, the Rescission Act of 1946 exclusively denied the majority 250,000 Filipino veterans all that was promised to them for serving in the American armed forces. Although there has been partial success over the years through community organizing ad legislative lobbying, such as burial allowance and flag, compensation for service-connected disability, and educational benefits for children, today’s remaining estimated 15,000 veterans are still waiting for full equity and genuine recognition. This year, we remembered our veterans’ courage and sacrifices by recognizing the 75th Anniversary of the Bataan Death March where 80,000 Filipino and American prisoners of war were forced to endure 100 km of severe abuse and torture. 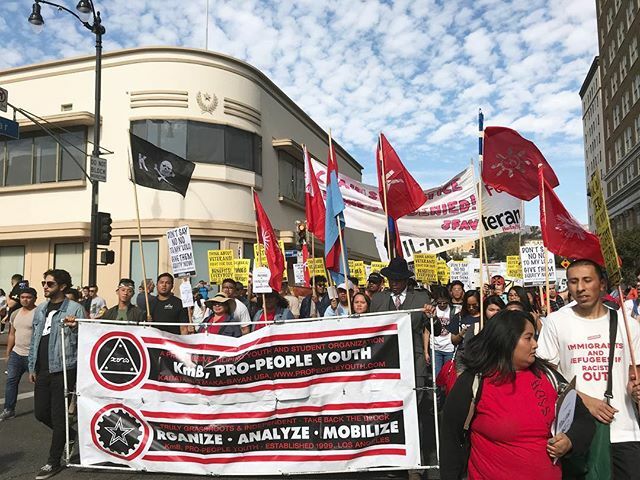 Starting on Hollywood Blvd and Ivar Ave, the march organized five stops with solidarity statements commemorating the Bataan Death March: (1) Mariveles, Bataan, (2) Lamao, (3) Balanga, the capital of Bataan, (4) Lubao, Pampanga, and (5) San Fernando Pampanga. 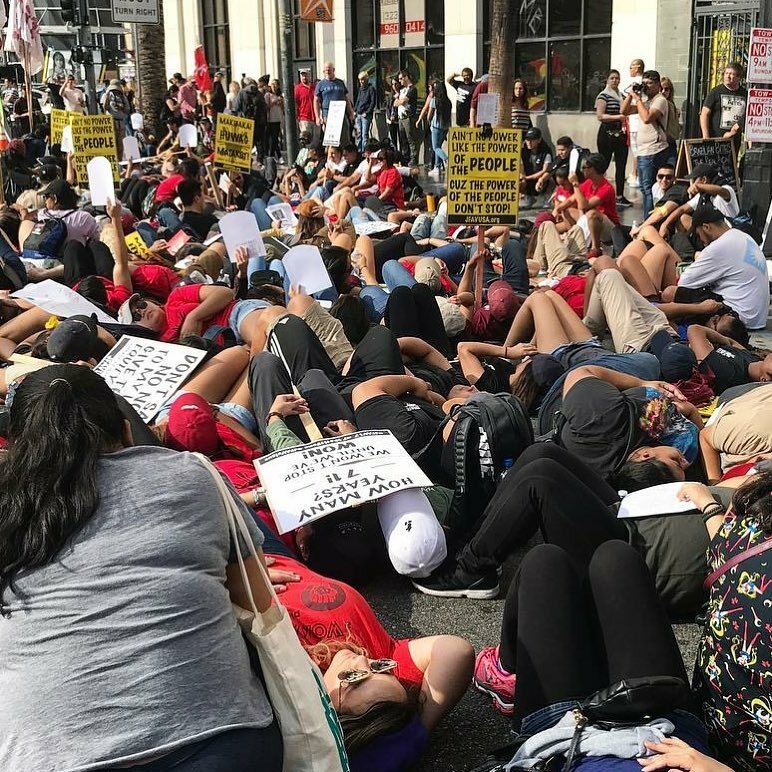 In memory of those veterans who have passed away, a 71 second die-in on Hollywood Blvd and Highland Ave was conducted with hundreds laying in the streets to represent 71 years of injustice. 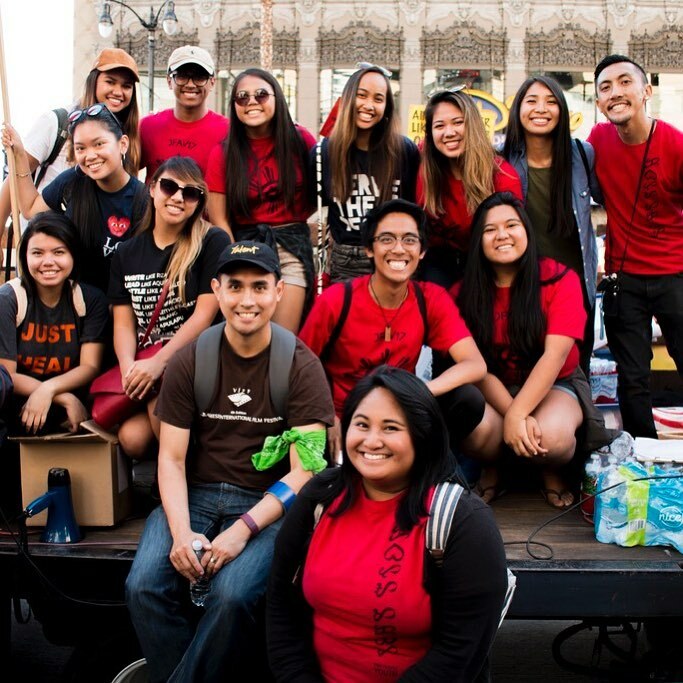 Filipino American Service Group, Inc. Earlier in 2016, HR 2737 / the Filipino Veterans of WWII Congressional Gold Medal Act was passed by both House and Senate in an attempt to recognize our veterans. While it is true that one will be displayed at the Smithsonian, there are five reasons why this legislation falls short of genuine recognition, (1) this is a civilian honor, not a military one, (2) veterans must pay with their own money $52 each for a bronze duplicate, (3) veterans must undergo a similar vetting process as the lump-sum by ARRA, (4) deceased veterans are excluded, (5) and survivors and families are also excluded. 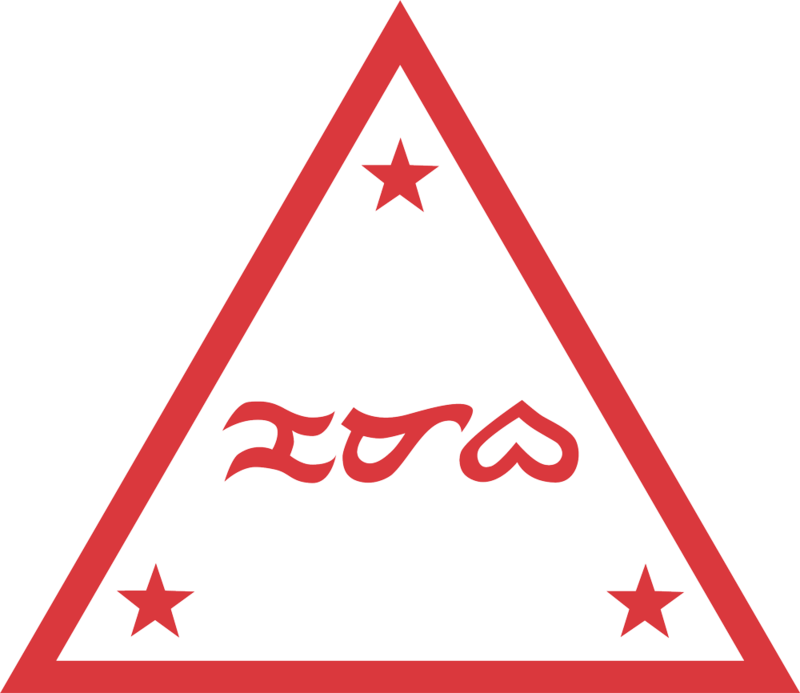 The Filipino Veterans Fairness Act eliminates the wrongful division they made between the four Filipino military groups that served in WWII: Old Philippine Scouts, Commonwealth Army of the Philippines, Recognized Guerrilla Forces, and New Philippine Scouts. Only the Old Philippine Scouts (10,000) received full equity, and the other three groups (250,000) were denied justice. Considering that the first version of this bill was introduced in 1993, community advocacy and direct action must continue both locally and nationally. As community organizers, KmB / Pro-People Youth salutes all student and youth leaders to carry on this fight for full equity. #JFAV17 was a success and next steps include community service opportunities in Historic Filipinotown and local lobbying. 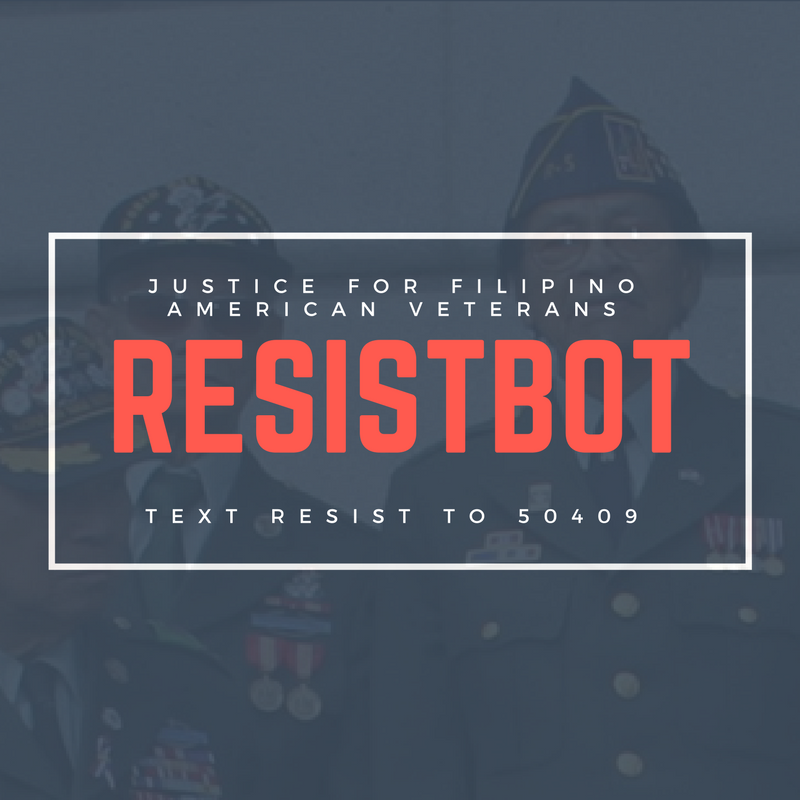 Text 50409 to ResistBot and demand your House representatives to support HR 3865 / Filipino Veterans Fairness Act. Articles included in feed below are not endorsements. Founded in 1999, KmB is dedicated to raising the next generation's social consciousness. Our organizing efforts are concentrated in the Los Angeles and San Diego areas, with allies nationwide and overseas. © 2019 KmB. All Rights Reserved.